WASHINGTON ― The U.S. State Department is denying charges from Turkish officials that an unofficial arms embargo has been placed against the government of Recep Tayyip Erdogan. Turkish Defence Minister Nurettin Canikli recently claimed that “several U.S. and German companies” were implementing a “covered” [indirect] arms embargo on Turkey. He added that those U.S. and German producers were either halting shipments of spare parts of weapons systems to Turkey, or deliberately delaying them. However, a State Department official, speaking on background to Defense News, flatly denied that charge. While there may not be a state-driven embargo in place, the U.S. has been known to deny requests for equipment from various nations over human rights concerns. Human rights issues have driven a wedge between Turkey and Germany, also the target of Canikli’s claims. The Trump administration last week scuttled a planned U.S. sale of small arms for Erdogan’s bodyguards amid congressional pressure. 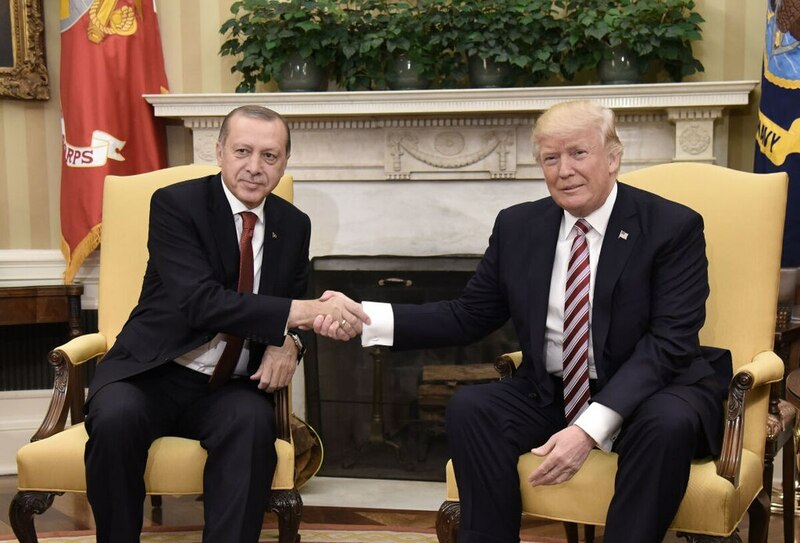 The sale attracted intense scrutiny in the wake of assaults carried out by Erdogan’s security forces against American protesters during a May visit to Washington. In early September, the Senate Appropriations Committee approved a measure that would ban weapon sales to that group. The House passed similar language earlier in the year, and a $1.2 million sale of handguns for Erdogan’s security forces has been shelved indefinitely as a result of those attacks. In the wake of news the Trump administration is mulling plans to ease export rules for American small arms, the Senate Foreign Relations Committee’s top Democrat, Sen. Ben Cardin, said Tuesday it looked like an effort to skirt congressional oversight for sales like the one to Ankara. The move would shift international non-military firearms sales from the purview of the U.S. State Department, which must seek congressional approval, to the U.S. Commerce Department. “It does look like an end-run around Congress,” said Cardin, of Maryland, who called the move “a direct affront” to congressional oversight. “Our strong feeling is that we want the State Department to do what we believe the regulations were intended to do, which is focus on highly-sensitive technologies where our edge or our troops would be endangered,” the State Department’s acting assistant secretary of political-military affairs, Tina Kaidanow, told Cardin at a congressional hearing Tuesday. Joe Gould in Washington, D.C., contributed to this report.